The way we grasp a paper cup necessarily differ from the way we grasp a mug or a glass. This is because the two types of container have different shapes and structures and these affect how we handle them. If we metaphorically think of a language as an object with a predictable shape and structure, we must handle (use) different languages differently. In terms of language acquisition or learning, this means that we need to determine ahead of time what we think a language is before exploring how to acquire it. Theories of second language acquisition all presume a specific answer of what a language is. In this paper, I discuss eight different facets of a language and their related SLA theories. I also try to synthesize these different views and propose an ecological approach to SLA, which I call the Sociocognitive Approach, borrowing from Atkinson’s (2011) recent proposal. The sociocognitive approach offers a possibility for designing new programs of second language learning. In order to enhance the language ability of both humans and computers, we need the support of language knowledge bases. The Chinese Idiom Knowledge Base(CIKB) developed by the Institute of Computational Linguistics at Peking University and the Allusion Knowledge Base of Chinese Poetry built by Lo Fengju at Yuan Ze University are both constructed for this purpose. With a corpus built to a certain scale and the aid from a language knowledge base, we hope to introduce the concepts of ＂extensive reading from a single word＂, ＂grasping the whole category with a typical example＂ and ＂extended learning＂ and design frameworks applicable to Chinese learning. As a sequel to ＂A Phase-based Design of Multilingual Idiom-allusion Knowledge Base for Teaching＂, this paper introduces in detail the content, construction ideas and development process of the two knowledge bases by taking CIKB and the allusion knowledge base as further examples. The connection of CIKB with the allusion knowledge base makes the two knowledge bases complement each other and improve Chinese language learning to the level of literature learning. This paper explores Chinese heritage language learners’ ethnic identity and heritage language acquisition from two aspects. One is that how the learners deal with the bidirectional ethnic identity and what strategies they adopt in face of the dilemma. Another is that how the learners’ strategies of the ethnic identity influence their heritage language acquisition. The results show that the learners adopt different sorts of strategies, e.g. adaptive strategy, preserved strategy, and assimilative strategy. In addition, the learners’ strategies have potential and indirect influences on their heritage language acquisition and maintenance. Therefore, the learner’s high level ethnic identity does not necessarily lead to high level proficiency of his heritage language. Hence, to solve the dilemma of the learners’ bidirectional ethnic identity, this paper proposes the third choice for the learners, i.e. ＂transcultural ethnic identity＂. Moreover, some teaching suggestions for Chinese heritage language learners’ heritage language acquisition are provided. Ba-construction is used to express how an object in a bounded event is affected, then undergoing a change of state. Before the change of state, the NP marked by ba has already existed in the discourse and its reference is usually definite, known as presupposed information. In TOCFL learner corpus, there are many CSL learners who mark a newly-introduced referent as old information with ba in their writing test. We found that the reference of the ba-NP could be interpreted through a certain referent which appears in the preceding discourse. The coherence in their writing is achieved by the indirect anaphora. This paper is expected to find out how the ba-NP is used as an indirect anaphor in terms of cognitive reference point (Langacker 1993, 2000, 2008) and cognitive metonymy (Lakoff and Johnson 1980). To improve Chinese teaching materials and help learners, this study probes into the dining terms used on university campuses and the potential linguistic difficulties they cause for foreign learners of Chinese. The dining terms were collected from the twenty restaurants located on the Taoyuan campus of Ming Chuan University. The lexical levels of the words defined as dining terms were analyzed based on the List of 8,000 Chinese Words. This study shows that of the six types of ding terms, Types (a) menu terms, (c) communicational expressions between buyers and sellers, (e) dialogues involving customers and restaurant wait staff, and (f) comments from customers about the food and beverages they purchase and consume, are typically included in Chinese teaching materials, but Types (b) advertisement terms and (d) terms related to environmental guidance are not. Type (a) menu terms in general Chinese teaching materials are simpler than those used on the campus. Each of the six types comprises numerous advanced TOCFL Level 5 words and those that were not included in the List of 8,000 Chinese Words. Of the 432 words collected from the menu items, 347 (80.3%) were not included in the word list. This deficiency may cause language comprehension difficulties for students who are not at or above Level 5. The dining terms also demonstrated linguistic differences between Taiwan and Mainland China, which may cause language difficulties. Reading comprehension problems may arise when the name of the food and beverage on a menu shows no direct relation to ingredients. Learners may also be confused by improper English translations of Chinese terms and menu items and encounter comprehension difficulties when examining the menu contents. The flaws in dining terms used in Chinese language teaching materials should be ameliorated, and additional teaching and self-learning materials targeted dining terms should be developed, allowing foreign learners to accomplish food-related tasks. 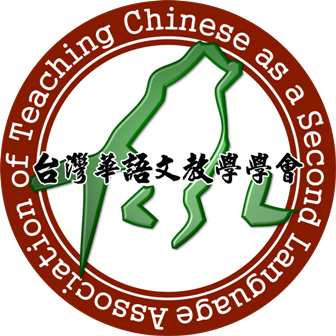 The quality of teaching materials for Classical Chinese often lags behind that of teaching materials available for modern vernacular Chinese, more widely studied ancient languages like Latin and also behind current developments in didactics. At the same time, the learner’s vocabulary of a textbook can be a deterrent because of its sheer volume and the way it is presented and organized. The author plans to compile a new Classical Chinese textbook for students of Sinology, based on his teaching experiences and an efficient, reliable learner’s vocabulary as well as a grammatical analysis presented in a modern, student-friendly way. To do so, it is necessary first to define the framework for a character frequency analysis of the classical Chinese language. The term Classical Chinese is defined for this purpose as the written language of the time from the Spring and Autumn period until the end of the Han dynasty. The criteria used to compile a representative corpus for this period are summarized, discussing the considerations about content and size of the corpus. The 64 texts presented in Michael Loewe’s Early Chinese Texts: A Bibliographical Guide (1993) are found to be a representative corpus for students of Sinology. The corpus thus created consists of a total of around four million characters, containing 12,546 tokens. By running a PERL script character frequency analysis of the corpus, it is found that by learning only the 600 most common characters, a ＂Classical Chinese＂ text coverage of 80 % can be reached. A number of 1,105 most common characters would make for an adequate working vocabulary, enabling students to read 90 % of an Ancient Chinese text. The tables contain a list of the corpus source texts and the detailed word counts of the frequency analysis itself.